‘Graves has created a truly extraordinary first novel… a writer to watch.’ Attitude magazine. 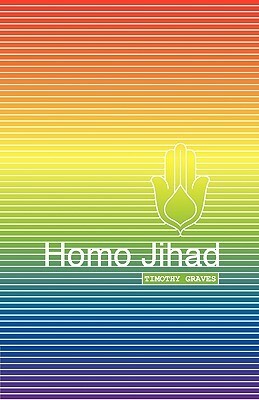 ‘Homo Jihad is an impressive debut from an exciting new voice in gay fiction.’ Time Out, London. ‘Homo Jihad is a high octane account of a gay love affair set in a world of chemical highs and religious fervour.‘ Paul Burston, author of The Black Path. 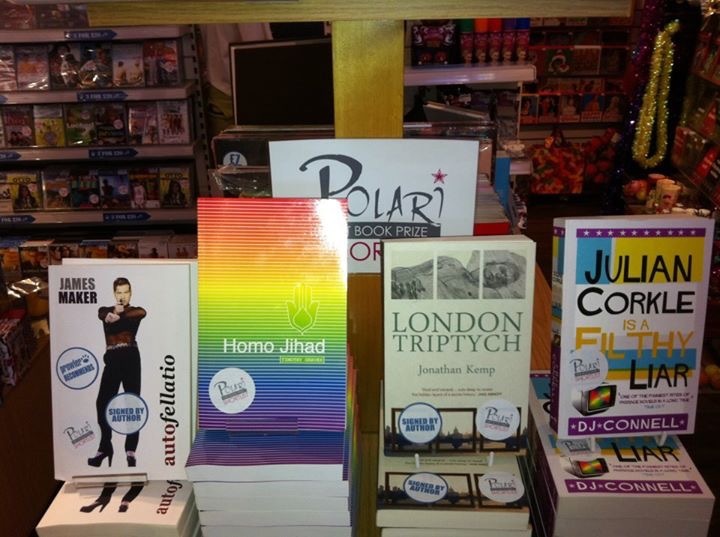 Homo Jihad was launched at Gay’s The Word bookshop in Bloomsbury, London in May 2011. 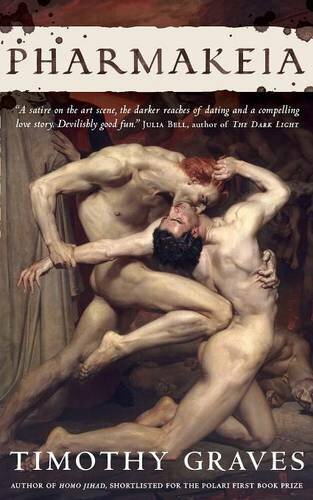 The novel is published by Paradise Press and was shortlisted for The Polari First Book Prize. The story is set in 2005 and centres around David Underwood, a hopeless romantic and regular on the drug-fuelled gay scene in London. When David meets Yossi, an Israeli Jew, at a nightclub, a long-distance relationship develops and David gradually uncovers the truth behind Yossi’s tragic past. However David’s ex, Ahmed, who is under intense family pressure to marry, makes a sudden reappearance. The terrorist atrocity of 7/7 marks a turning point for the lovers. Then I saw it. It was like watching a movie but being a really long way away. I saw myself dazed and confused, covered in blood in that side street in Kings Cross, then again, this time unconscious, lying on the bathroom floor and Yossi calling the ambulance, my neighbour strapping her arm with a belt, ready to inject heroin into a vein, someone helping Ahmed from the burnt wreckage of a tube carriage, and Michael prostrating himself in front of a statue of the Buddha, then dedicating himself to the Dharma. Not to do evil; To cultivate good; To purify the mind; This is the teaching of the Buddhas. And I saw the light change and become the blinding light of the suicide bombs in Jerusalem and London. I felt the bomber’s blind faith bind him to the belief that men who kill and maim in the name of God are blessed martyrs. And I saw a man shaving his pubic hair in preparation for the act, reciting verses from the Koran, embracing his suicide mission as divine destiny, receiving it like a revelation. Searching for my own slice of enlightenment, the ultimate high, I saw my face distorted and fractured by the hundreds of tiny mirrors of a giant glitter ball on the dance floor of Fire. An explosion of light from behind filled the club with smoke, and silver stars rained down from the ceiling. Suddenly I was back on the bathroom floor again, naked, and close to death. ‘You stopped breathing,’ a voice said and I saw Yossi closing the bathroom window, as a cloud past in front of the sun. How easy it was to blow it all to kingdom come.